The team has captured the coveted Champion’s Cup twice, most recently in May of 2009, when they defeated the New York Titans 12-10 at the Scotiabank Saddledome. In 2004, the Roughnecks won their first National Lacrosse League Championship with a 14-11 victory over the Buffalo Bandits in front of more than 19,000 screaming fans. The 2009 season was also memorable for another reason; after starting out the season with five straight wins, the Roughnecks went on to finish with a league leading 12-4 record, giving the Calgary club home field advantage throughout the playoffs. Curt Malawsky was promoted to head coach and assistant general manager after serving as an associate coach for three seasons (2010-2012). 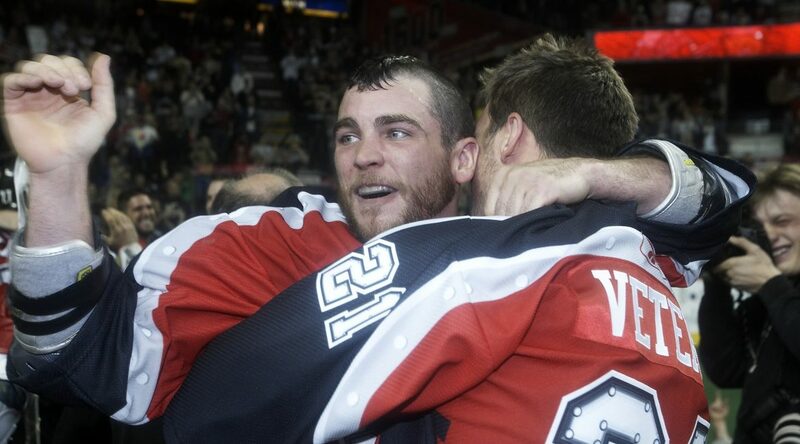 Prior to taking on a coaching role, Malawsky’s NLL playing career spanned 12 seasons, including two campaigns with the Roughnecks (2008-2009). Malawsky, the sixth head coach in franchise history, is joined by former NLL Coach of the Year, Bob McMahon, who has been an assistant coach with the organization since 2011. The Calgary Roughnecks were awarded an expansion franchise in the National Lacrosse League in 2001. 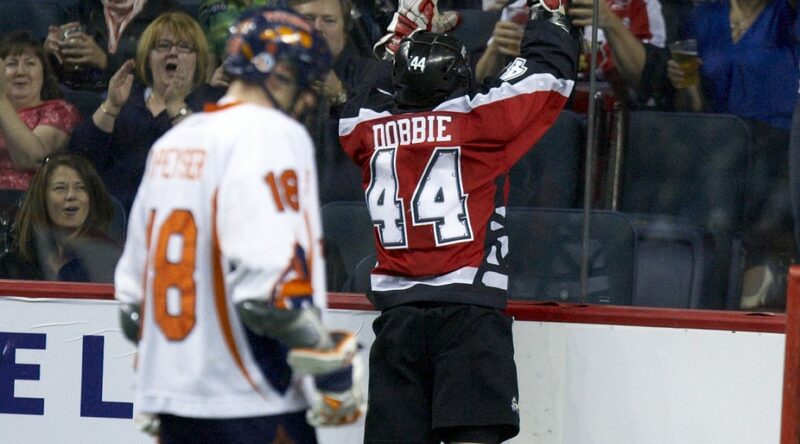 Since then, the Roughnecks have established themselves as one of the premier organizations in the NLL. Okotoks businessman Brad Banister was the principal owner and president from the club’s inception until June 14, 2011 and is considered to be the architect of the Roughnecks rapid rise to fame in the world of lacrosse. He’s also responsible for attracting the signatures of such stars as Tracey Kelusky, Kaleb Toth, Lewis Ratcliff , Taylor Wray and Geoff Snider over the years. In 2012, the Roughnecks duplicated a franchise best with a league-leading 12-4 regular-season record, highlighted by a six-game winning streak from March 9 to April 6. Following a successful regular-season, the team advanced to the playoffs for the tenth consecutive year. 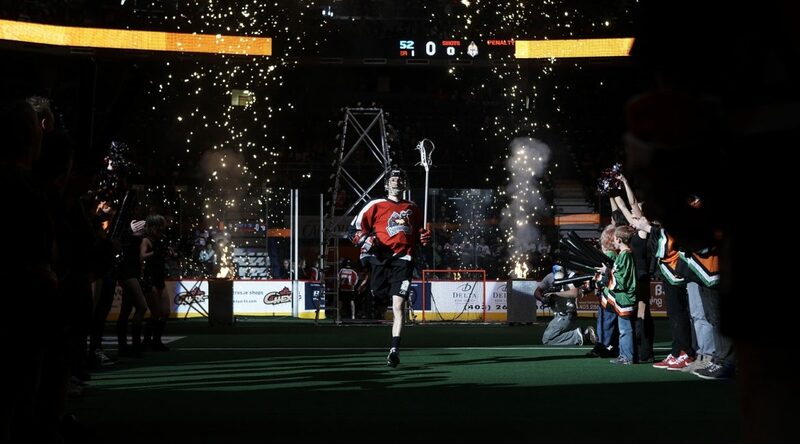 In 2014, the Roughnecks captured the hearts of the city with a dramatic playoff run that included two thrilling come-from-behind overtime victories as Calgary marched all the way to the Champion’s Cup Final against the Rochester Knighthawks. The Roughnecks fell short after splitting the two-game series, they dropped a 3-2 mini-game tiebreaker. The Roughnecks captured the hearts of the city with a dramatic playoff run that included two thrilling come-from-behind overtime victories as Calgary marched all the way to the Champion’s Cup Final against the Rochester Knighthawks. The Roughnecks fell short after splitting the two-game series, they dropped a 3-2 mini-game tiebreaker. Okotoks businessman Brad Banister was the principal owner and president from the club’s inception until June 14, 2011 and is considered to be the architect of the Roughnecks rapid rise to fame in the world of lacrosse. He’s also responsible for attracting the signatures of such stars as Tracey Kelusky, Kaleb Toth, Lewis Ratcliff , Taylor Wray and Geoff Snider over the years. On June 14, 2011 the Calgary Flames Ltd. Partnership announced the purchase of the Calgary Roughnecks. Curt Malawsky was promoted to head coach and assistant general manager after serving as an associate coach for three seasons (2010-2012). Prior to taking on a coaching role, Malawsky’s NLL playing career spanned 12 seasons, including two campaigns with the Roughnecks (2008-2009). Malawsky, the sixth head coach in franchise history, is joined by former NLL Coach of the Year, Bob McMahon, who has been an assistant coach with the organization since 2011. The 2009 season was also memorable for another reason; after starting out the season with five straight wins, the Roughnecks went on to finish with a league leading 12-4 record, giving the Calgary club home field advantage throughout the playoffs. The team captured their second Champion’s Cup trophy when they defeated the New York Titans 12-10 at the Scotiabank Saddledome. In 2004, the Roughnecks won their first National Lacrosse League Championship with a 14-11 victory over the Buffalo Bandits in front of more than 19,000 screaming fans. 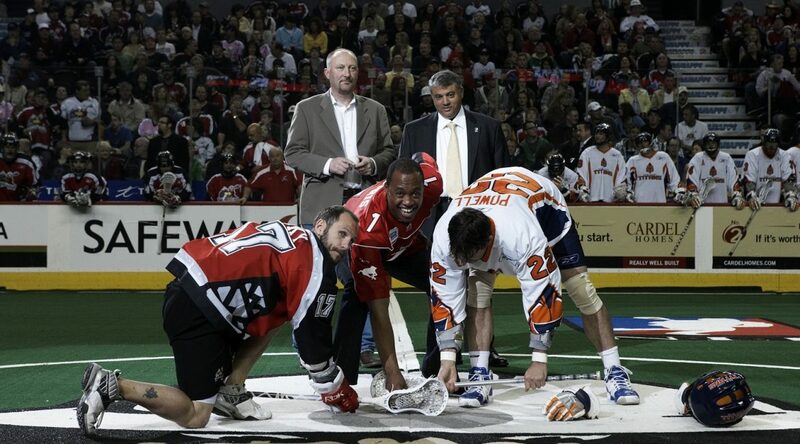 Since then, the Roughnecks have established themselves as one of the premier organizations in the NLL. Now in its 31tst season, the National Lacrosse League (NLL), North America’s professional indoor lacrosse league, features the best players in the world. The league played its inaugural game in January of 1987, and was first known as the Eagle Pro Box Lacrosse League. In 1988, the name was changed to the Major Indoor Lacrosse League (MILL). The MILL became the National Lacrosse League (NLL) following the 1997 season. The National Lacrosse League plays box lacrosse, which is designed to combine the most exciting elements of box and field lacrosse. It incorporates the physical play of hockey with the high scoring, fast pace and play-making style of basketball. The game is played inside the confines of an ice hockey rink, with glass and rink boards intact. The playing surface is artificial turf, which is placed directly over the arena’s ice surface. Twenty-five goals are scored in the average NLL game. Indoor lacrosse is similar to basketball in terms of its frequent scoring, use of a shot-clock (30 seconds) and use of the over-and back-rule. When teams are on offense, they often spread the floor and pass the ball around in a manner similar to that of basketball. Each team plays with five runners (forwards and defencemen) and a goaltender on the floor during the game. Each team dresses 18 players (16 runners and two goaltenders) per game, and the players rotate on and off the floor in shifts, similar to ice hockey. The game consists of four quarters, each 15 minutes in length. A game that is tied at the end of regulation is decided in five-minute sudden-death overtime. There are no tie games in professional indoor lacrosse. The great majority of the Leagues players have full time jobs during the week. Many of the Leagues fans will tell you they enjoy the closeness to the players because they have everyday jobs like they do.